Software Engineer Karen Liew's mother suffered from osteoporosis three years ago and she is worried that, with her current sedentary lifestyle, she might be at risk of contracting the disease as well. Karen's mother, Mdm Yam was diagnosed with osteoporosis and scoliosis in 2006 and is currently taking medication and regular private Tai Chi lessons on a weekly basis. Prior to taking up Tai Chi lessons, Mdm Yam had been taking calcium tablets for 2 years as prescribed by the doctor. Instead of showing signs of improvements, her bone mass density has shown to decline over the years. Her doctor feedback that the body does not absorb the calcium as intended and thus recommended that she should engage with regular exercise in conjunction with the medication. Coach Yip also conducted regular record of Mdm Yam's body composition measurement using Tanita InnerScan Body Composition Monitor before and after each Tai Chi lessons to monitor her bone mass and muscle mass. It was observed that she has been able to maintain her bone mass and that her BMR – basal metabolic rate also shows an increase after each Tai Chi lesson, which is one of the psychological benefits of exercise. Since osteoporosis usually strikes women after menopause, a common belief is that it's an older women's disease. 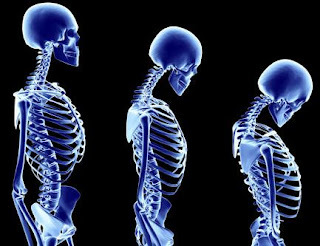 However, a recent study conducted in Britain by the University of Surrey and the Royal Cornwall Hospital in Truro in 2008 showed that 20 per cent of women aged 20 to 29 had low bone mass, which could lead to early onset of osteoporosis. It would be a good idea for women to start engaging in weight bearing exercises (rebounding, running, jumping, jogging, Tai Chi, resistance training) as bone mass loss begins at around age 30, which will potentially lead to the disease and causing painful fragility fractures. Dr Lau Tang Ching, president of the Osteoporosis Society (Singapore), said that a person's bone mass usually starts declining by about 1 per cent a year after that age, and that a sedentary lifestyle together with poor dietary habits, which is often the result of living in a busy, modern world like Singapore, can multiple the risk of osteoporosis. In such cases, bone mass deterioration can occur at a rate of 2 or 3 per cent a year, he added. That, combined with unhealthy lifestyle choices, such as smoking means young people are at higher risk of developing this disease in the near future.